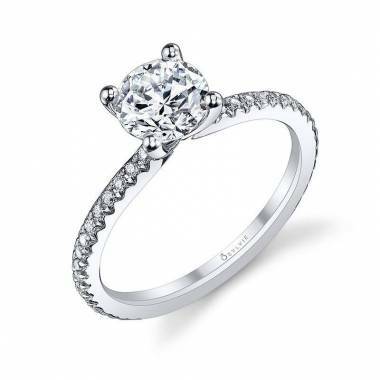 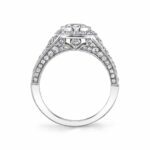 This impressive vintage engagement ring features a dazzling 1 carat round brilliant diamond center in a milgrain framed bezel setting. An intricate halo of pave diamonds accentuates the center stone and the tapered shank continues the vintage motif with additional diamonds of various sizes down the shank and along both sides. 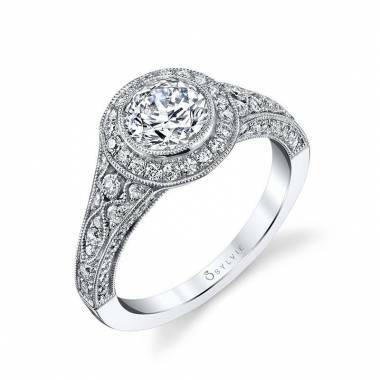 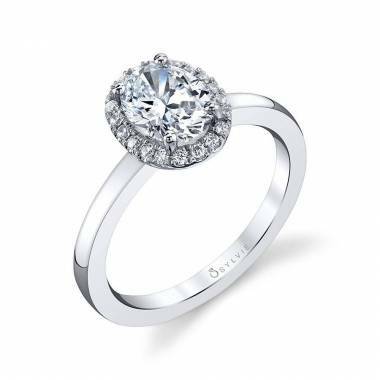 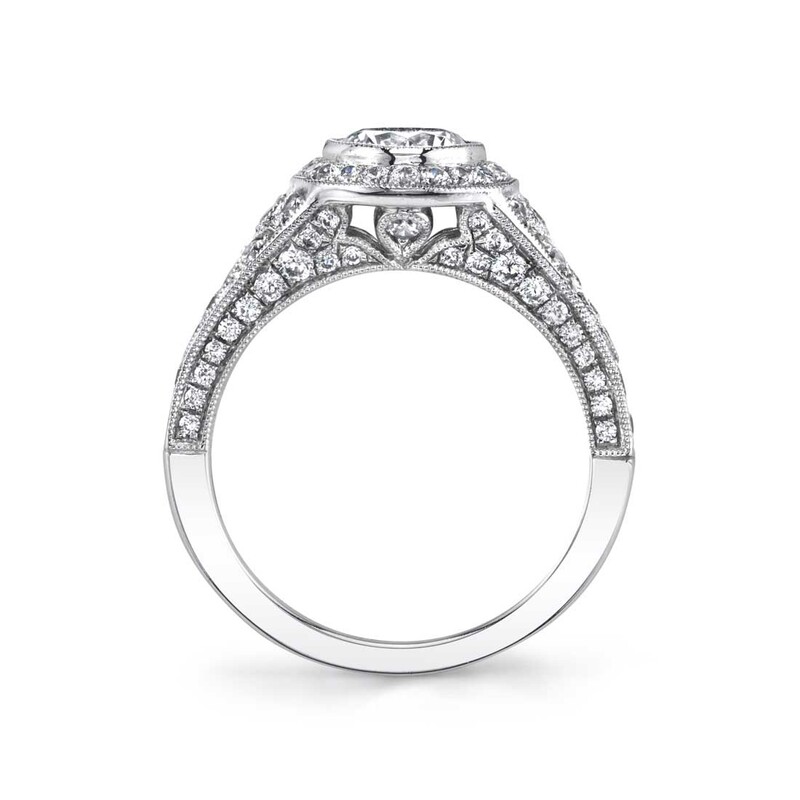 This milgrained accented engagement ring contains a total weight of .80 carats.